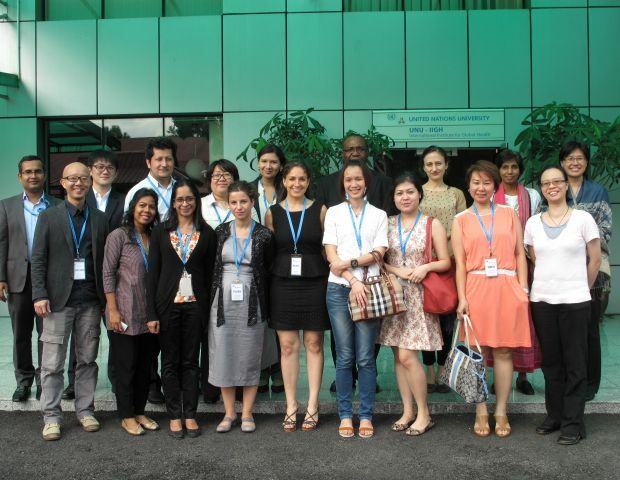 Research Fellows from UNU-GCM were pleased to participate in a Symposium on Migration, held in conjunction with the 5th Meeting of the UNU Migration Network, at the UNU International Institute on Global Health (UNU-IIGH) in Kuala Lumpur on January 13th 2015. 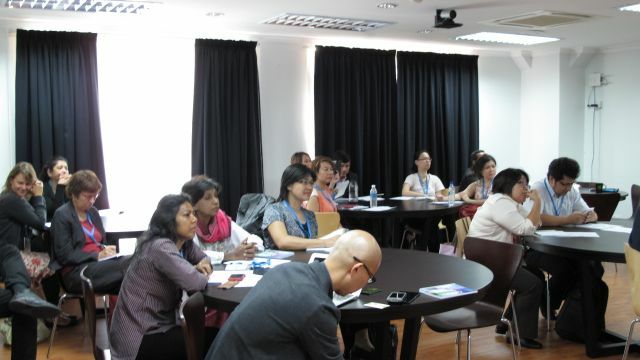 The Symposium provided a valuable opportunity for researchers from across the UNU Migration Network to share salient aspects of their research expertise, practices and results to an audience that consisted of NGO and international organisation representatives based in Malaysia, alongside academics and policy advisers. The aim was to bridge gaps between research and policy development and to consider the local implications of international migration policy development. 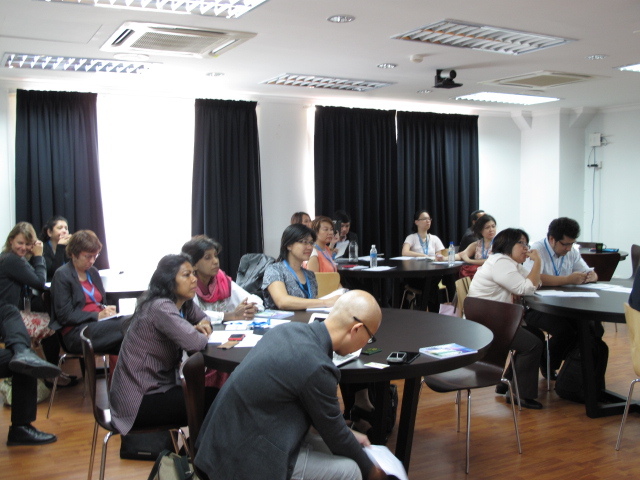 Meanwhile, UNU researchers had the chance to learn about Malaysia’s experience of receiving migrants and refugees. The Symposium was opened by Obijiofor Aginam, Senior Research Fellow at UNU-IIGH, and was followed by a presentation by Richard Towle, UNHCR’s representative in Malaysia, who spoke on the challenges of offering humanitarian protection to refugees in Malaysia. He reflected upon the distinction between refugees and migrants, yet also acknowledged the ‘de facto ambiguities’ that exist in practice. UNU-GCM Research Fellows contributed presentations on their ongoing research: Valeria Bello, co-ordinator of the UNU Migration Network, presented on ‘Migration, Prejudice and Human Security: What Institutions and Policy-makers Can Do’, while Megha Amrith gave a presentation on ‘Migration and Cities: Responses in Academia and Policy to Everyday Realities ‘. Other presentations from the different UNU Institutes included: ‘Linkages Between Migration and Development: Exploring Health, Those who Stay Behind, Diaspora Engagement and Return Migration’ (Melissa Siegel, UNU-MERIT), ‘Migration and Health’ (Syed Emdadul Haque, UNU-IIGH), ‘International Health Worker Migration to Europe: Implications for Other Regions’ (Ana Amaya, UNU-CRIS) and ‘Climate Change, Human Mobility, and National Adaptation Planning’ (Andrea Milan, UNU-EHS, via video recording). 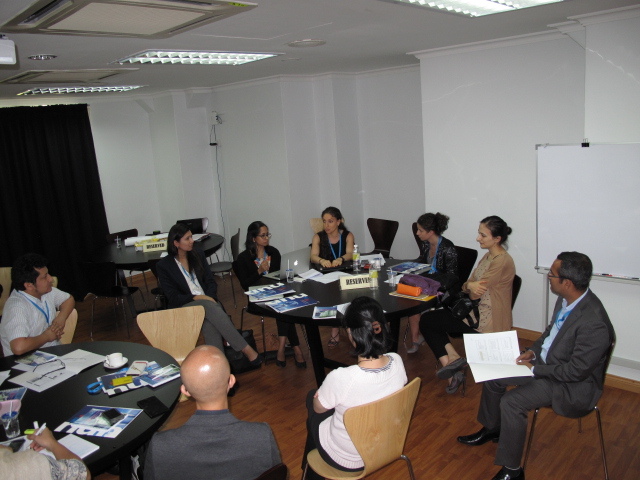 The Symposium allowed for a close exchange of ideas between speakers and the audience on a diverse range of issues. 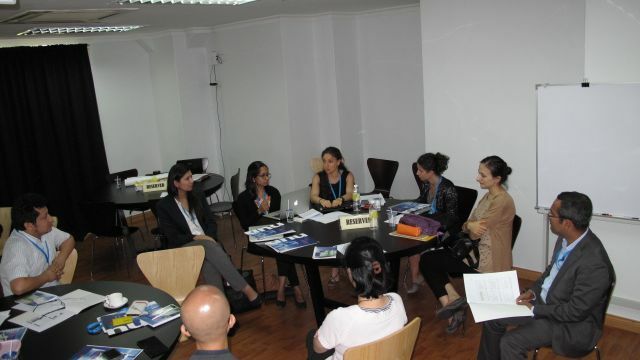 The final session brought participants together around a roundtable to debate pertinent and challenging questions with regard to migration and policy in the Asian context, and globally.